tourist attraction | Dream well. Live well. Be well. 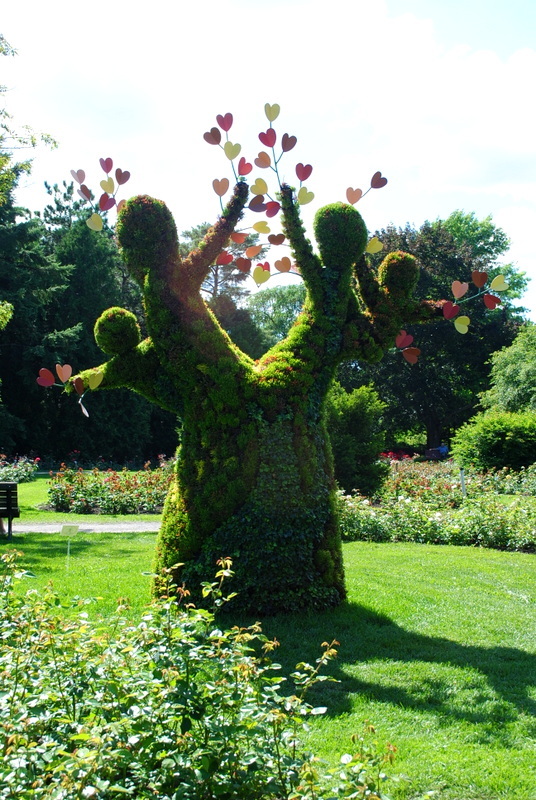 When my parents visited last year, they took half a day to explore Montreal’s botanical garden. I was not with them. It was either because I was busy preparing for the wedding or I was on my honeymoon. Either way, I did not feel that I have missed something exceptional. 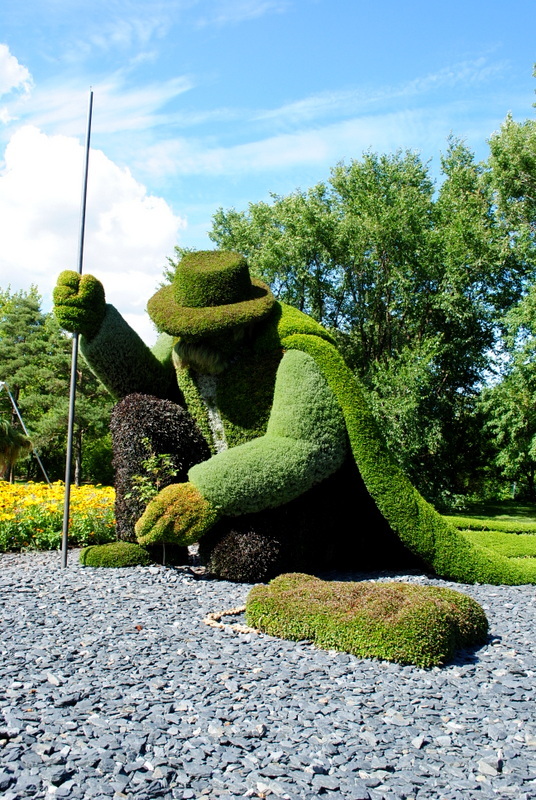 In my mind, a garden here or a garden in Singapore would probably be the same thing, being surrounded by lots of greens. We had visitors from France, friends of Dan. 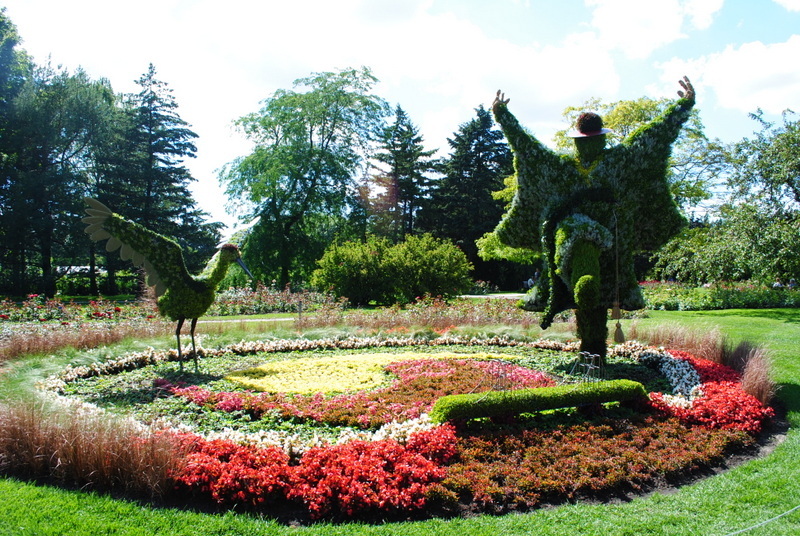 While discussing over possible places of interest, the botanical garden entered the priority list, naturally. 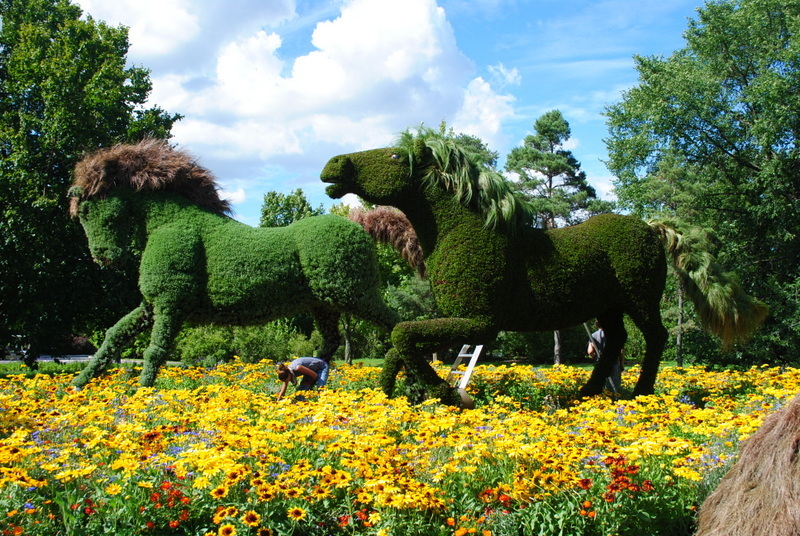 Since there have been heavy publicity done on this event called Mosaïcultures Internationales Montréal 2013 – Land of Hope, we decided it must be worth visiting. Guess what made the impression? 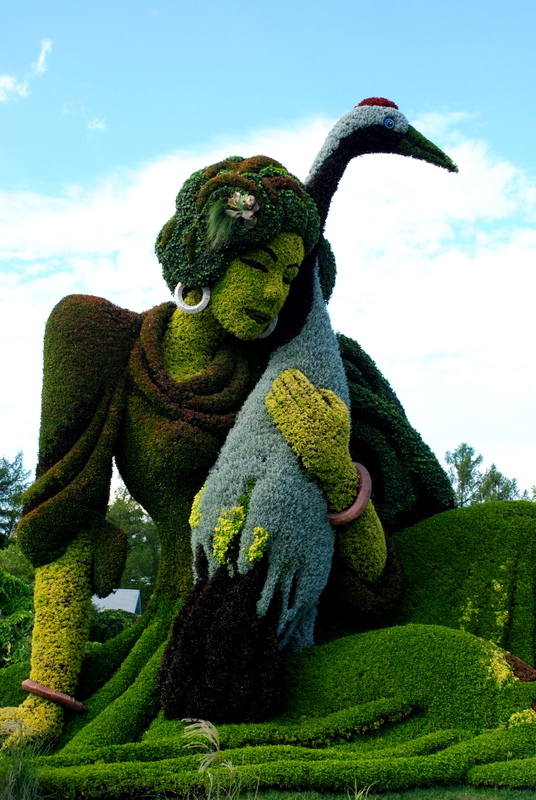 Beautiful pictures of giant sculptures done out of plants. The wonders of visual effects. Nothing beats the real thing. Standing in front of these giants, I felt towered over by them. Looking up close, I was impressed at how the details were skilfully accentuated. 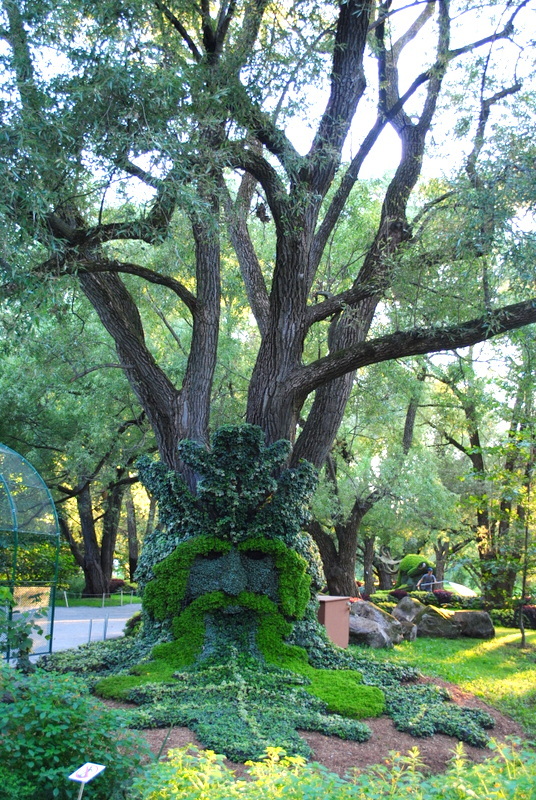 In my mind, I was wondering how they actually maintain these plants sculptures on a daily basis. Imagine the manpower needed! 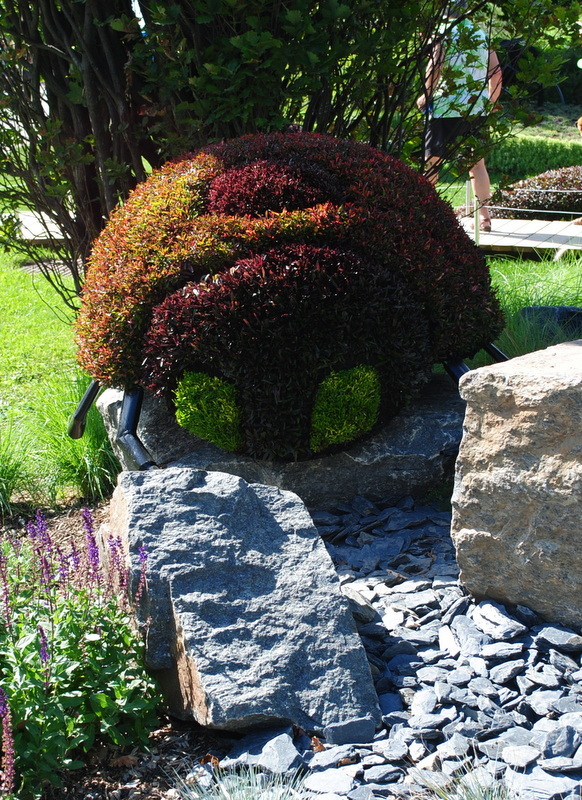 These sculptures have been brought to us by professionals all over the world. 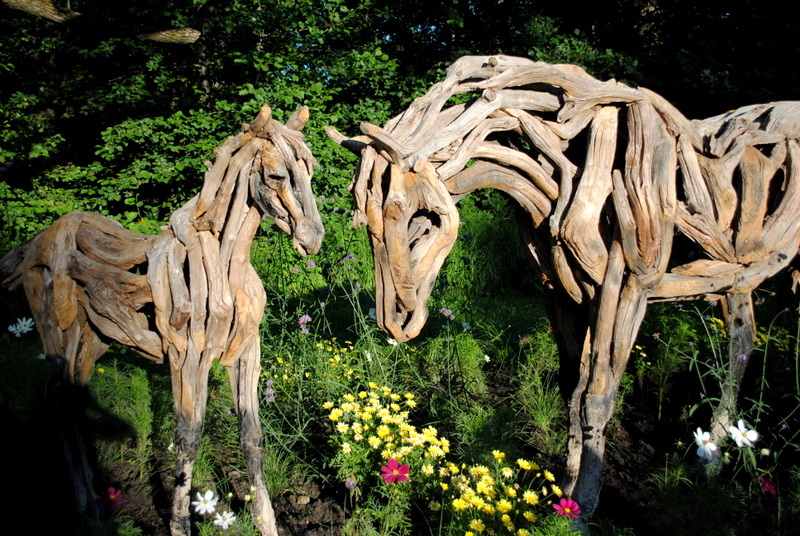 Every sculpture has a meaning and inspiration behind it so if do you visit, take some time to read through the write up. I am glad that I had the chance to walk through these majestic friendly giants. The event ends on the 22nd of September so you still have some time to catch this magical display if you have not done so yet!